The system of Ashtanga Yoga as we know it today was developed in Mysore, South India, by Sri K Pattabhi Jois (affectionately known by his students as ‘Guruji’). 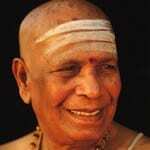 Pattabhi Jois was introduced to yoga at the age of 12 after seeing a demonstration by Sri Tirumalai Krishnamacharya. It made such an impression on him that he went to seek him out as his teacher the next day. Krishnamarachya was an Indian philosophy and Sanskrit scholar, as well as a teacher of yoga asana and pranayama ( breath work) and is credited with reviving the popularity of hatha yoga in the modern world, thus often referred to as ‘The father of modern yoga’. The vinyasa system and sequences are said to have been adapted by Pattabhi Jois from an ancient text the ‘Yoga Korunta’ written by the sage Vamana Rishi, a text given to Krishnamacharya by his guru Sri Ramamohan Brahmmachari. In 1948 Guruji established The Ashtanga Yoga Research Institute at his home in Lakshmipuram. 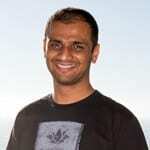 For many years he taught yoga to students therapeutically, to help with various health issues. It wasn’t until the 60’s and 70’s that some students from the West travelling in India heard of him and came to learn from him. They, in turn, took the teachings back to their own countries. Over the years word spread and gradually more and more students arrived to seek him out. 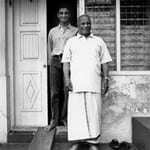 In 2002 he moved the school to a much bigger premises in Gokulam, another suburb of Mysore, where it remains today, now known as the Krishna Pattabhi Jois Ashtanga Yoga Institue (KPJAYI). 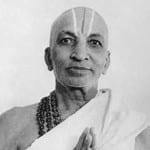 He continued to teach into his nineties, both in Mysore and internationally, continuing the legacy of his Guru Krishnamacharya. Since he passed away in 2009 the lineage is continued through his daughter Saraswati, and his grandson Sharath, who is now the director of KPJAYI. Every year hundreds of students from all over the world continue to travel to Mysore to study at the source of Ashtanga Yoga.